Situated in the Bluebell Barn and is open every day the Bluebell Walk is running. A large variety of plants for you to choose for your garden, which are grown by the residents of Arlington Village and surrounding area. All proceeds are for the upkeep of the ancient Arlington Parish Church St Pancras, and the stall is run by supporters of our church. Situated in its own room part of the Bluebell Barn an open every day the Bluebell Walk is running. All monies raised goes towards the important work of Action for Medical Research. The volunteers from the Eastbourne Branch carefully sort the donated books into categories and authors, to facilitate your quest in finding those books you would like to read. It’s success is entirely reliant on the large number of books donated by the public throughout the year. The considerable sum raised each year over the Bluebell Walk period depends on the generous donations left in the collection boxes, as no books are priced. If you or a friend have surplus books at any time of the year not just a Bluebell Walk time, and would like to help Action for Medical Research, then we would be very grateful to receive them as we have ample storage space. 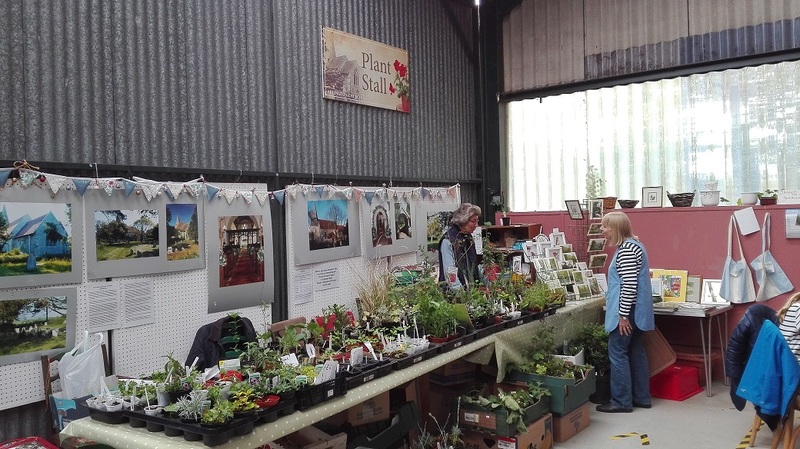 It is great if you are able to bring them to Bates Green Farm, so just phone 01323 485151 to say you are coming, or if necessary we will try and arrange collection. 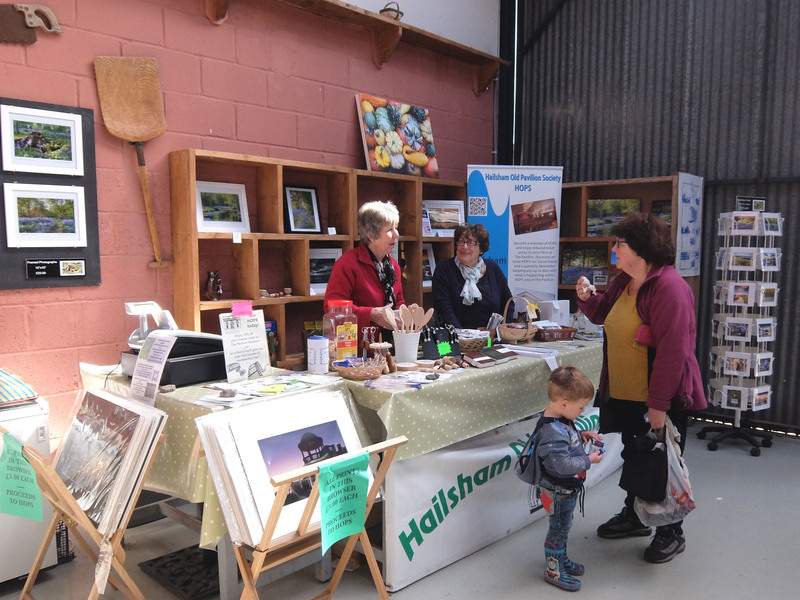 Situated in the Bluebell Barn and each day run by volunteers from the Hailsham Old Pavilion Society (H.O.P.S.) to raise money in support of the Hailsham Pavilion Cinema. First opened in 1921 as the only cinema in the local market town of Hailsham, closed as a cinema in 1965, then listed as a Grade 2 building of historic and architectural interest. It fell into disrepair, but in 1993 an enthusiastic supporters association (HOPS) was formed and raised a substantial sum plus a Lottery Grant for it to be opened again as a cinema in 2000. Fundraising is continuous to maintain the fabric of this important building, so please support this stall. It offers a wide range of items from ice creams, articles made of wood, cards, Bluebell Walk and HOPS mementos, so come and browse to find that special item. Situated in the Bluebell Barn and open at weekends only. Staffed by members of the Eastbourne and District Group of the Royal Society for the Protection of Birds, selling a range of their products, also looking for new members to join the RSPB. They have their gazebo opposite the Gate House and are at hand at the weekends only, to explain the important work they do which includes managing 30 nature reserves across both East & West Sussex, and educating the young and old about nature and how to connect with it. They need to increase their membership, get children to become members of Wildlife Watch and increase volunteers to help at their nature reserves and their administration office at Woods Mill Henfield.